As has been predicted for a long time now, long serving midfielder Collins Okoth Gattuso is on his way out of the club, having been released after his contract ended. Gattuso has not played much this season. He fell out of favor with coach Ze Maria last season and missed several matches. This season he tried to make amends with the coach but the Brazilian tactician was not keen on mending fences since he had other options at the position. The fact that coach , with whom Gattuso had several run ins in 2012 had returned to the technical bench, did not bode well for Gattuso. Gattuso first joined Kogalo in 2012. His first stint was peppered with numerous episodes of ill-discipline. But his play on the field was solid, earning him a place in the national team. He left in 2014 saying he was quitting football to return to school full time. But his early retirement last for a brief period. He would play for Tusker then Sofapaka before rejoining Kogalo in 2014. Promising defensive midfielder Teddy Osok will be loaned out to KCB. Osok was signed at the behest of fans because he was one of the best players at the 2017 KPL U-19 tournament after having been released by Gor Mahia Youth. Gor Mahia have announced that the so called problems with Collins Okoth are a non-issue. “We have no problem with him or any other player. That we have summoned Okoth for any disciplinary cause is just a rumour since at the moment, we are in good terms with him” said team manager Jolawi Obondi to citizen sports. Kenyanstar: You are one of the most solid holding midfielders and you can walk into any starting eleven in Kenya. Tell us about it? Collins Okoth: My secret is to work hard and work twice as hard in training. Also you have to believe in yourself, give your best and don’t be intimidated. KS: How can you describe your time at Gor Mahia? CO: I have had a fantastic time at Gor Mahia. The best of it being winning 3 league titles in a row. I have certainly enjoyed my stay at the club. KS: You have quit Gor Mahia before and accused the club of unfulfilled promises. For example, non-payment of salaries. How true is this? CO: We had an agreement with club about my fee but they never fulfilled their promises. I played my role well. Having realized that the club could not fulfill their promises, I decided not to fight them but walk out peacefully. KS: The current Gor Mahia Organizing Secretary Judith Nyangi has accused you on social media of sabotage and missing training intentionally. What is your response? CO: The current OS is just an attention seeker. I asked for permission from the coach. I have been in this club under different regimes and we have worked amicably with other secretaries as was the case with Naima. You never heard them speak so ignorantly. Sometimes the level of education matters to…you know. KS: You have fallen out with many coaches before. Zdravko Logarusic at Gor Mahia. Stewart Hall at Sofapaka. Where is the problem? Is it you or the coach? CO: I have never fallen out with any coaches before. That is just a fabrication of the press and some critics. However, I have learnt to live with it. KS: You have fallen out with Ze Maria before. Do you have any differences? CO: Yes I have fallen out before with Ze Maria. However, we sat down(Himself and I) and he explained to me what he likes and his philosophy. We are friends and we are going to achieve great things with him. KS: You have been accused of being indisciplined – missing training, disobeying authority…How true is this? CO: Unfortunately, most people always believe in what they hear about me. Not the truth. The truth is I can’t miss training without communication to the coach or team manager. I don’t and will never miss training without permission. KS: Why always you? Are you misunderstood? CO: No. I am not misunderstood. In football you can’t please everyone. I always speak my mind whether anyone likes it or not but I will tell the truth. KS: Some fans say you cost the club the title last season when you failed to turn up for some matches. Your response? things around if I played those matches. KS: You were once quoted you in 2015 saying that, ‘I attribute the current success to Frank Nuttal’. How good was Nuttall? Should he probably have stayed longer? CO: In 2015, I indeed attributed the success to coach Frank. He was the best. A funny and loving man. He was always honest and I like him a lot. KS: What’s the secret to being a good holding midfielder like you? CO: The secret of being the best holding midfielder is that you have to avoid doing so many mistakes always try and be simple; play one and two touches and protect your back 4. KS: You captained Kenya before in CHAN. You are a regular there too. How much of an honour is it being a captain? CO: It’s an honour indeed and a great thing. KS: Your Gor contract expires in June. Are you renewing it…if not where are we likely to see you? CO: Yes my contract expires in June. I have only three months remaining. We players we don’t know about the future, so I can’t say whether I will renew or move. God knows about tomorrow. CO: I urge the fans to come and cheer us this year. We want to make them happy and they should ignore the officials who are always on social media fighting for power. KS: Thanks Collins! All the best ahead. The 2017 Kenya Premier League which was due to start this weekend is facing further challenges. 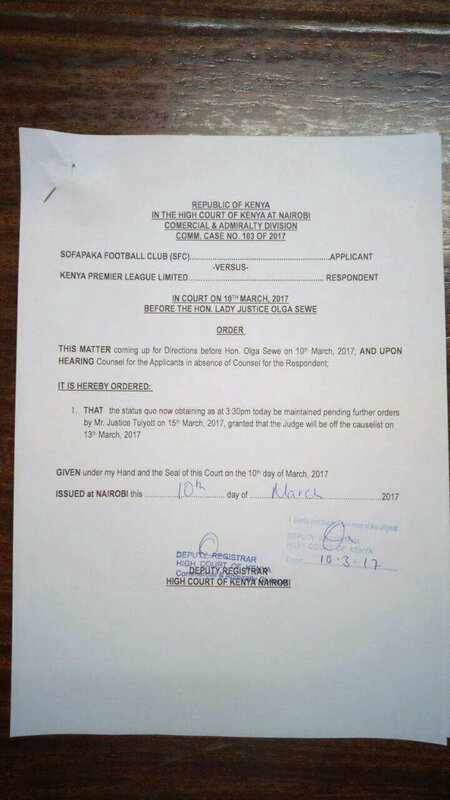 Sofapaka FC have obtained a court order from the high court to stop the start of the league. Sofapaka and Muhoroni Youth have a case at the Sports Disputes Tribunal where they are appealing the decision by Football Kenya Federation to relegate them for failing to comply with Caf Club licensing rule; a thing which has put KCB and Vihiga United on standby. The case at (the tribunal) is set for its third hearing on Wednesday March 15, having made no steps in two sittings. The KPL wants Sofapaka and Muhoroni Youth to remain in the league while the FKF wants the two teams demoted and instead KCB and Vihiga United elevated to the top tier. Initially, all sides had agreed to start the league with 16 teams pending the outcome of the tribunal hearing. The league was already contemplating triple headers at some stadia. To make matters worse, there are many stadia across the country that are under construction and thus unavailable. Playing triple headers is sure to damage the surface at the stadium. And the congested fixtures will mean teams play more matches per week on bad surfaces. It will not bode well for Ze Maria’s style of short passes. Will he adapt? In the latest twist, combative midfielder Collins Okoth “Gattuso”” has rubbished reports that he is leaving the club. Reports in the Daily Nation had quoted Gattuso saying that he was intent on leaving. The reports were confirmed by club official Ronald Ngala. Gattuso has now denied the reports. Club organizing secretary Ronald Ngala confirmed that Okoth is intent on leaving. “He has sent me several text messages saying he wants to leave. I think he has found some other club which turned his head”, Ngala said to the Nation. 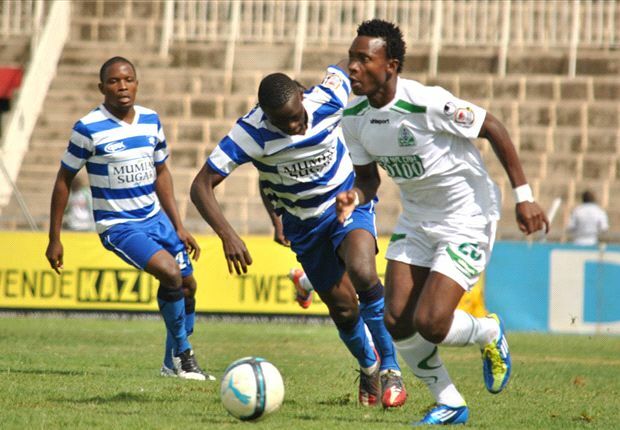 Okoth left Gor Mahia in 2012 citing frustrations from certain club officials. 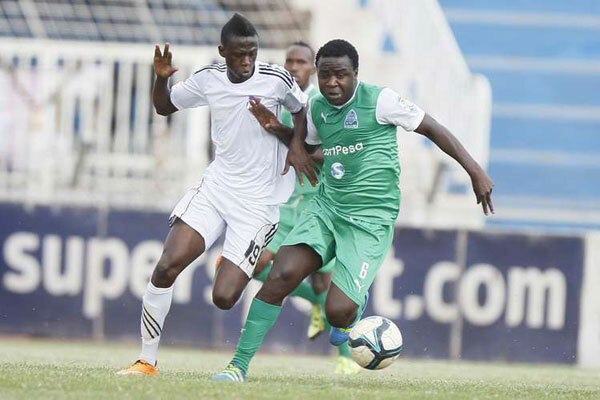 The Gor Mahia technical bench and medical staff will be closely watching defender Karim Nigiziyimana and midfielder Collins Okoth, both of whom picked up injuries during the tense match against Mathare United on Sunday. Okoth pulled a thigh muscle and had to be substituted with 30 minutes of play remaining. Nzigiyimana limped off minutes later with a swollen knee. Gor Mahia returns to training on Tuesday, focusing their energies on the forth-coming regional competition which starts on Saturday. Coach Frank Nuttall expressed hope that the duo only suffered slight injuries. Nizigiyimana has not only been solid defensively but has been a key pillar of the Gor Mahia attack with his inch perfect crosses. He currently leads the team in assists. The relentless Gattusso has been solid for the club, patrolling the defensive midfield area and covering efficiently for overlapping full backs. Okoth probably just needs some rest since has played in numerous games since last year for both club and national team. Former Harambee Stars coach Jacob “Ghost” Mulee is convinced that Gor Mahia will perform much better at this year’s CECAFA cup. Mulee however expressed concern about Gor Mahia’s defense which of late has appeared porous after going 10 matches without conceding a goal. “Despite having good strikers, midfielders and defenders, my worry though is in their central defense. It is weak, truth be told. Musa Mohammed and Shakava are good, but at this stage, experience is vital. I hope Dikir Glay will be available for them; they need him in the team. For example, the goal Mathare United scored against them over the weekend, with better central defenders that cannot happen.” he continued. Whereas Gor Mahia assistant coach Bobby Ogolla has insisted that a strong attack is Gor Mahia’s best defense, Mulee thinks such an attacking formation can be exploited by good teams. “Their high line is also risky; we saw that against Mathare United having four offensive players against two defenders, they will need to work on that. It will take a single match for the opponents to know your weaknesses and capitalize on them. Nevertheless, I think the team will perform better this time round and I am confident last edition’s incident will not happen again.” continued Mulee. Gor Mahia appears to be the only CECAFA cup side whose federation declined to facilitate air tickets. Sam Nyamweya flatly refused while suggesting that no agreement was ever reached that made it a requirement for national FAs to facilitate air travel for the representative teams. Nyamweya claimed his federation was too broke to pay for tickets. However war torn Somalia FA chairman Shafi’i Mohyaddin Abokar insisted that the agreement was valid and that each FA was indeed required to facilitate air tickets. “We facilitated everything for the team to ensure their participation of the competition, because Somalia had never missed a single CECAFA competition and we want to keep that record alive, he said according to futaa.com. Gor Mahia’s attacking midfielder Ali Hassan Abondo has been named to the Harambee Stars squad that will play Ethiopia this Sunday in the opening match of the CHAN qualifiers. Abondo had been called to the team that traveled to Rwanda for the Peace cup but did not travel to the team to Congo. Defender Haron Shakava is down with malaria and as such has not been included in the squad. Collins Okoth “Gattuso”, Michael Olunga, and Boniface Oluoch are all sure to start. For Oluoch, it is a chance to prove his critics wrong with an improved performance. In midfield, Gattuso has no peers on this team. He is clearly the most capable defensive midfielder. Olunga had a good match against South Sudan in the Peace cup where he scored. Earlier on he scored a hat-trick against Botswana in the Olympic qualifiers. There have been plenty of expectations with many observers predicting he would be Kenya’s next great striker. None other than Mohamed Kheri, one of the best coaches Kenya has ever produced called Olunga the next Mike Okoth. This is Olunga’s chance to prove that he measures up to those expectations. Since its inception, Kenya has never qualified for CHAN. But with Bobby Williamson in charge, there is cause for optimism. Goalkeepers: Boniface Oluoch (Gor Mahia), Ian Otieno (Posta Rangers), Boniface Baraza (Posta Rangers). Defenders: Edwin Wafula (AFC Leopards), Brian Birgen (Ulinzi Stars), Sammy Meja (Thika Meja), David Gateri (Bandari), Aboud Omar (Unattached), Jackson Saleh (AFC Leopards), Musa Mohamed (Gor Mahia). Midfielders: Ali Abondo (Gor Mahia), Kevin Kimani (Tusker), Collins Okoth (Gor Mahia), Humphrey Mieno (Tusker), Anthony Ndolo (Sofapaka), Bernard Mang’oli, Timonah Wanyonyi (AFC Leopards). Strikers: Michael Olunga (Gor Mahia), Jesse Were (Tusker), Peter Nzuki (Nakumatt), Jacob Keli, Noah Wafula, (AFC Leopards) and Eric Johanna (Mathare United). There has been silence on the transfer scene. So far the only player Gor Mahia signed is Enock Agwanda. And with the signing of Agwanda, many fans predicted that the club would no longer pursue Sserunkuma. 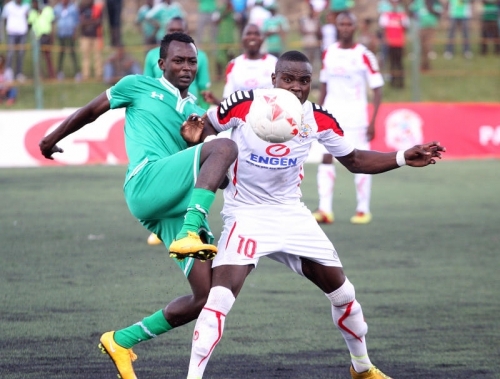 However club official Ronald Ngala says that the club is still actively pursuing the burly Ugandan striker who was largely responsible for Gor Mahia lifting the title in 2013 and 2014. Reports from several weeks ago had noted that some of the club’s foreign legion would be released. Ngala also denied a story that was posted on the club site that Humphrey Mieno was joining Gor Mahia. He further confirmed that Kevin Oluoch has joined Muhoroni Youth while Jerry Santos was likely to leave. ‘As far as we are concerned, the only player I can confirm having signed for us is Enock Agwanda and the only player we have lost is defender Kevin Oluoch who has joined Muhoroni Youth. Regarding Jerry Santos, he has a pending six month contract. Possibly, he is keeping fit with Posta Rangers but he is still our bonafide player, “said Ngala. Michael Olunga will likely lead the Kenya national team attack for the first time ever in a competitive game as Kenya take on Congo-Brazzaville in the opening match of the 2017 Africa Cup of Nations qualifiers. Olunga has played for the national team at various levels such as U20 and U23. He has played for the senior national team in friendly matches. This match against Congo is his first opportunity to be the focal point of the attack. Of course there are other attackers in the squad such as Allan Wanga, Noah Wafula and Jesse Were. But based on current form Olunga should be the man to lead Kenya’s attack especially in the absence of Dennis Oliech. Coach Williamson has taken a huge gamble in leaving Oliech out of the squad. He will be hoping that Olunga can vindicate his choice. Other Gor Mahia players who could play are goalkeeper Boniface Oluoch and midfielder Collins Okoth “Gattuso”. The duo are experienced campaigners having played for the national team as far back as 2012. With this match being played away from home, Williamson might deploy a defensive formation in which case the tenacity of Gattuso will be crucial. If experience is the determining factor then Boniface Oluoch will be the man between the posts for Kenya. Ian Otieno, while talented, is highly untested. For the Gor Mahia trio, it will be an opportunity to earn a measure of revenge after they were eliminated by AC Leopards of Congo-Brazza. But Congo-Brazza are 76 places above Kenya in the Fifa world rankings and will, obviously, start as favourites, more so, since they are playing at home. In form midfielder Ali Abondo was surprisingly left out of the squad. Other shock exclusions were Peter Opiyo, Clifford Miheso who are based in Finland as well as Oliech and Mariga. While keeper Arnold Origi was left behind because the incompetents at FKF did not send paperwork to his club on time. Defenders: David Ochieng (Al-Tawoun, Saudi Arabia), Aboud Omar (Un-attached), Jackson Saleh (AFC Leopards), David Owino (Zesco United, Zambia), Edwin Wafula (AFC Leopards). Midfielders: Francis Kahata (FK Tirana, Albania), Victor Wanyama (Southampton, England), Ayub Timbe (KRC Genk, Belgium), Paul Were (Unattached), Humphrey Mieno (Tusker), Kevin Kimani (Tusker), Stephen Wakhanya (Chemelil Sugar), Collins ‘Gattuso’ Okoth (Gor Mahia), Anthony Akumu (Al Khartoum, Sudan). Strikers: Allan Wanga (Unattached), Michael Olunga (Gor Mahia), Noah Wafula (AFC Leopards), Jesse Were (Tusker). CNaPs coach Rabeharisua Herimanitra has indicated that he was delighted with the performance of his charges during the opening leg of the 2015 Africa champions league preliminary round. Coach Herimaitra indicated that his team deserved to win more than the hosts. He also indicated that Gor Mahia were far below expectations. According to him Gor Mahia benefited from refereeing decisions. Gor Mahia do indeed have a tall order as they face CNaPs in Antananarivo in 2 weeks. And as they defend their slim lead, they will have to do it without tough as nails defender Collins Okoth “Gattuso”. Gattuso is said to have walked away in anger after coach Nuttall named him on the bench. Not surprisingly, the Madgascans excelled in wing play, something that they have always done. But they are not physically strong. A tenacious player like Gattuso is perhaps what Gor Mahia needs in midfield. Omino joined Muhoroni Youth from Kakamega Homeboyz and made 21 appearances, scoring two goals. His current contract expires on Dec 31. He is the son of western Stima Head Coach Henry Omino. Earlier on there were indications of renewed interest from Randers FC, the team that signed him in 2010. 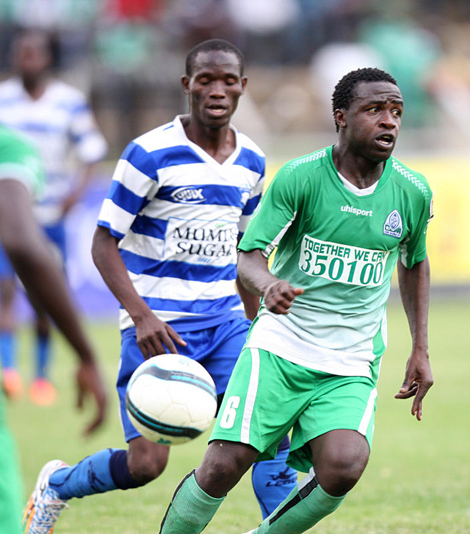 Blackberry needs more time at Kogalo to regain the form that saw him earn KPL player of the year honours in 2010. Meanwhile Patrick Oboya is back after unsuccessful trials in Vietnam. Oboya tried out at three teams and at one point was reported to stranded in Vietnam. He joined Gor Mahia in 2013 after an running into contract and eligibility issues with his former club in Vietna. During his stay at Kogalo, he has shown flashes of brilliance at times but injuries have prevented him from regaining the form that saw him join a Czech team.